Back in May of this year, Knights of Pen & Paper released on the Nintendo Switch. Now, it’s sequel, Knights of Pen & Paper 2 – Deluxiest Edition is making its way over to the console as well. The game is will release on Switch on December 13th for $12.99. 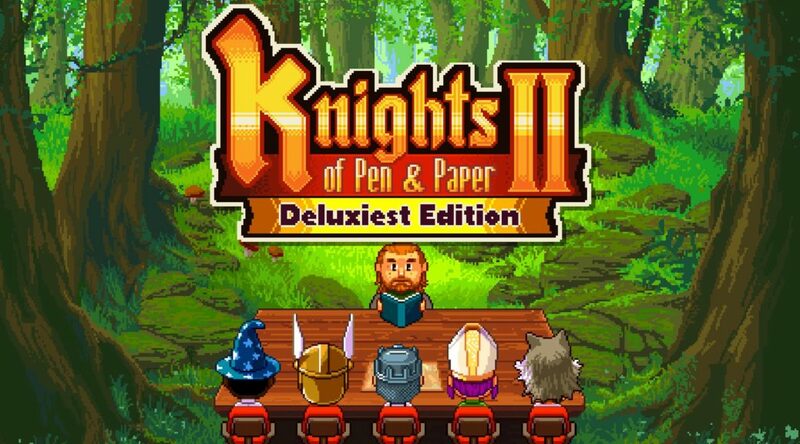 A Bundle of both the first and second Knights of Pen & Paper is now available to pre-order on the eshop and can be purchased for $22.49. You can find out more about Knights of Pen & Paper 2 – Deluxiest Edition in the official press release below. You can pre-order the game today on Nintendo Switch and Xbox One. Also starting today, you can pre order a Knights of Pen and Paper Bundle, which obviously brings the two games together, for $22.49 that will release at the same time! That’s a cool 20% saving compared to buying both games separately. Don’t forget that our partner Super Rare Games will bring both Knights of Pen and Paper +1 Deluxier Edition and Knights of Pen & Paper 2 – Deluxiest Edition to limited physical edition on Nintendo Switch, early 2019!